Small Boutique Hotel in Zhujiajiao! Zhujiajiao is one of the water towns just outside of Shanghai. This hotel offers charming rooms with in a traditional Chinese setting. The excellent facilities include free wireless internet and a spacious terrace with views over the historic town and canals. 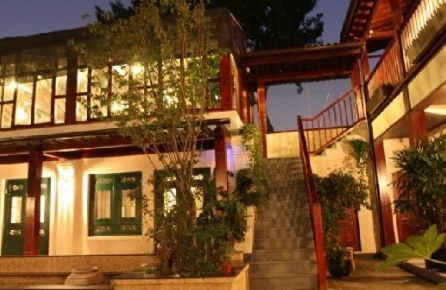 The Xilu Xiaoxie Inn is a charming guesthouse in the historic part of Lijiang, many attractions such as the White Horse Dragon Pond Temple, the Wangu Pavilion and the Wenchang Palace are within walking distance of the Xilu Xiaoxie Inn. 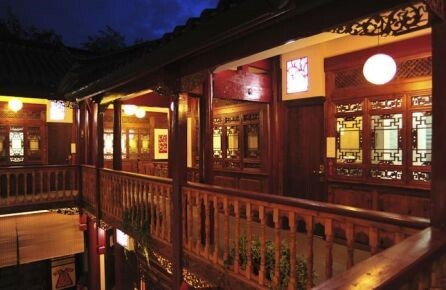 Also the traditional architecture of the building and the Chinese furniture and decoration will give you a great experience in Lijiang! Great hotel at Gulangyu Island! The Xiamen Gulangyu Heitan Hotel is situated at Gulangyu Island. A pedestrian only Island near the shore of Xiamen. The Island is a UNESCO World Heritage Site and attracts each year many visitors. 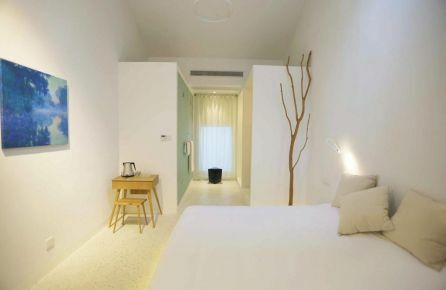 The rooms of the Xiamen Gulangyu Heitan Hotel are new, clean and equipped with up-to-date facilities. The hotel is a great choice as base for exploring Gulangyu Island! The Old Manor House Yangshuo is an excellent choice for exploring the breath taking scenery in- and around Yangshuo. The hotel is set in an over 400 year old building and has been beautifully restored. The rooms have up-to-date facilities with private bathrooms. The hotel is one of our favorites in Yangshuo! Charming hotel at peaceful location! 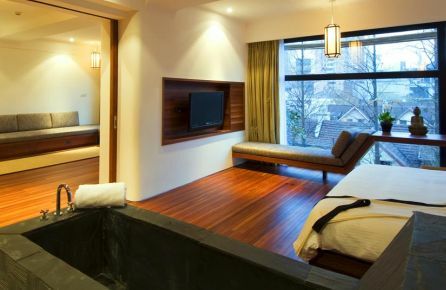 The Hangzhou West Lake Sanshe Boutique Inn is a small hotel at a beautiful location in Hangzhou. The hotel is a perfect choice for a quiet and peaceful getaway. The hotel offers well decorated rooms, a comfortable terrace, a tasty breakfast with Chinese and Western food and free wireless internet. You can rent bicycles at the hotel to explore Hangzhou and the West Lake! Great location to explore Guilin! The Elephant Trunk Hill Hotel is a great hotel at a central location in Guilin. The hotel is set just steps away from the famous Elephant Trunk Hill and the river and a ten minute walk from the Sun and Moon Twin Pagodas. The hotel offers spacious rooms with free wireless internet, a large terrace and reception with English speaking staff. No.5 Valley Guest House is a beautiful boutique hotel at a fantastic location close to Zhangjiajie National Park. From the hotel you have stunning views over the surrounding mountains. De hotel is an excellent starting point for hiking and exploring one of the most beautiful areas of China. The spacious rooms are well-equipped and include free wireless internet. The Silver Chest Boutique Hotel is a luxurious boutique hotel in the city center of Kunming, not far from the Green Lake. The rooms are set around a typical, Chinese courtyard, are soundproofed and beautifully decorated. Guest of this boutique hotel especially appreciate the central location, the excellent facilities and the helpful staff. The Hangzhou Baige Hotel is a small hotel in Hangzhou. The hotel's staff is extremely friendly and helpful. You can make use of bicycles, without extra charge, to explore the city and of course the West Lake. Breakfast is included in the room rate! 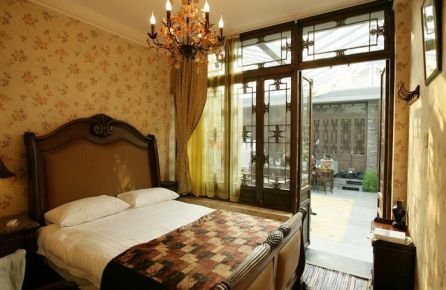 The Xian Iii House Inn is a small boutique hotel in the city center of Xian. From the hotel it is a short walk to several of Xian's attractions. The rooms have excellent facilities and are beautifully styled in earth colors. This hotel is a perfect choice for your stay in Xian! Charming hotel with a view in Guilin! 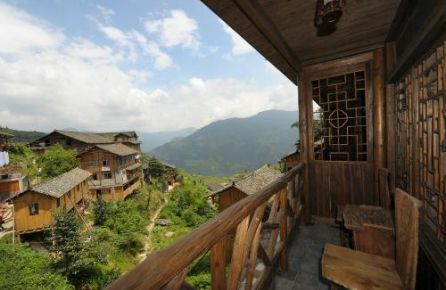 The Longji Star-Wish Resort is a small hotel with just over twenty rooms. 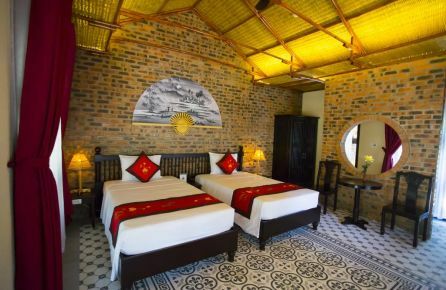 The hotel is located a two-hour drive from Guilin, the hotel is an excellent starting point from which to explore the beautiful surrounding with breathtaking views. The facilities of this hotel are up-to-date and the staff is friendly and helpful! Small Hotel near Tiger Leaping Gorge! The Sean Spring Guesthouse is a perfect starting point for hiking and exploring one of the most beautiful areas of China. 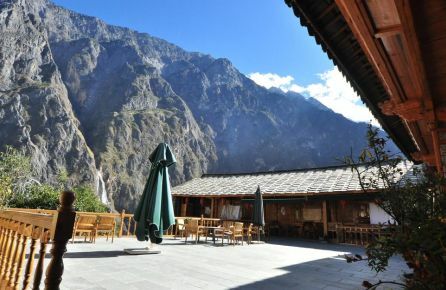 The hotel is located in the Tiger Leaping Gorge, around a two-hour-drive from Lijiang. The hotel has basic but great facilities which include free wifi. The restaurant serves both western and Tibetan food. Last but not least the staff is very friendly and helpful. 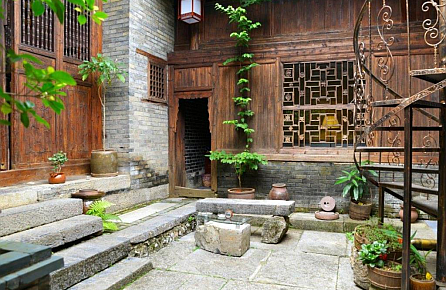 Small Charming Inn in Suzhou! 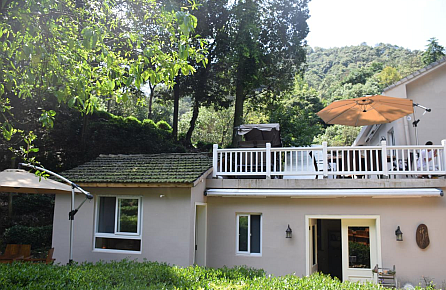 The Ru Yi Boutique Hotel is situated at an excellent location in Hangzhou close to the West Lake and the Qiantang River and is a perfect starting point for outdoor activities such as hiking and cycling. You even can rent bicycles at the Hotel. 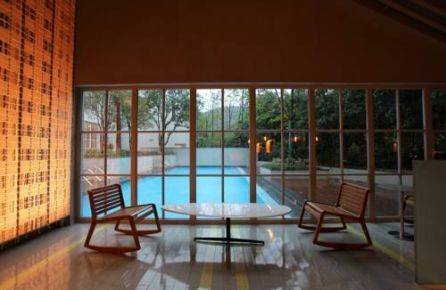 The Ru Yi Boutique Hotel has great facilities, spacious rooms and an swimming pool! Traditional Court Yard Hotel in Beijing! 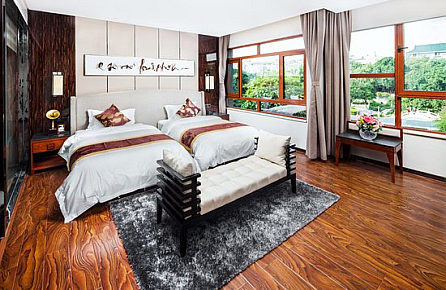 Kelly's Courtyard Hotel is a perfect starting point from which to explore Beijing. 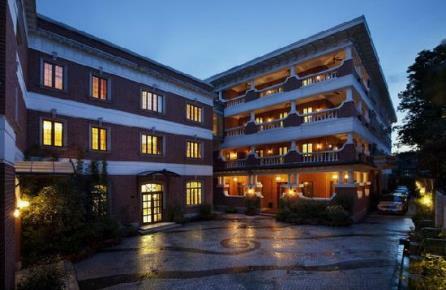 The Forbidden City is less than two kilometers away from this charming hotel. 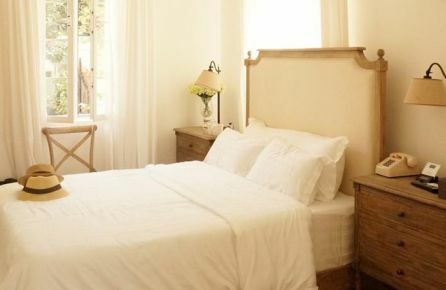 The 9 rooms are well-equipped and include free wireless internet. You also can rent bicycles at Kelly's Courtyard Hotel to make it even easier to get around! 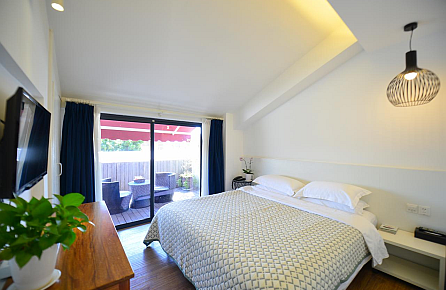 Stay in the heart of the French Concession! Discover one of the most charming areas of Shanghai, the Former French Concession, wide lanes with trees, stunning buildings all in a Chinese surrounding. The Gallery Suites are in the heart of this area. It is easy to travel to other highlights of Shanghai by using the subway or, outside the rush hour, by taxi. The Gallery Suites is an excellent starting point from which to explore the city. 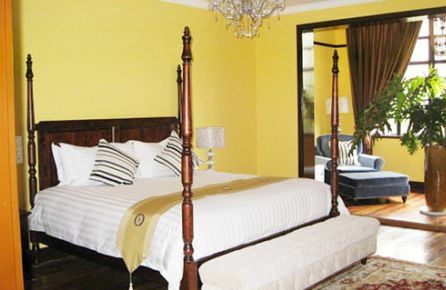 The Yihe Mansions is located in a historic area of Nanjing, the mansion offers luxurious rooms and suites. The rooms are soundproofed, have an air purifying system, floor heating and free wireless internet. To the Hunan Road Pedestrian Street is a walk of 15 minutes. Other attractions such as Xuanlu Lake can easily be reached by taxi. 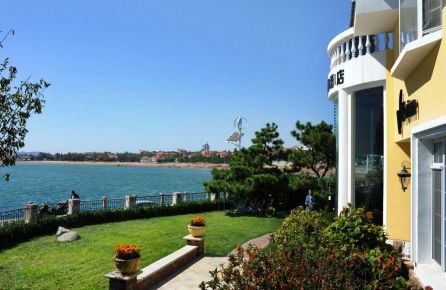 Villa Inn No.21 Seaside is an excellent choice for your stay in Qingdao, the hotel has only 30 villas, the villas are equipped with up-to-date facilities including air-conditioning and have great views over the ocean. Besides the beach, several other touristic attractions are close to Villa Inn No.21 Seaside. Charming B&B at central Shanghai! The Quintet BnB is one of the few B&B's in Shanghai. This B&B offers twenty rooms, a bright breakfast room and a terrace. The rooms are equipped with air-conditioning and free wireless internet. 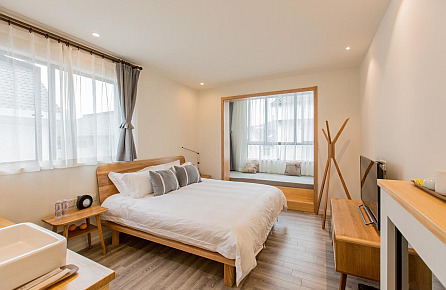 Quintet BnB is located close to Jing'an Temple and to close to subway station Changshu Road. 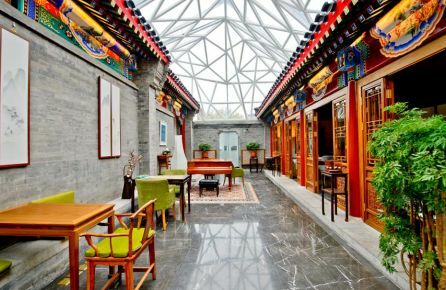 Small, luxurious court yard hotel in Beijing! 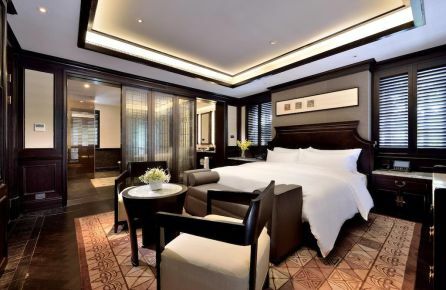 Cours Et Pavillons offers four luxurious rooms in the city centre of Beijing. The hotel is set in a historic courtyard building with original Chinese decoration and furniture but has modern facilities such as free wireless internet. Because of the central location Cours Et Pavillons is a perfect starting point from which to explore Beijing! 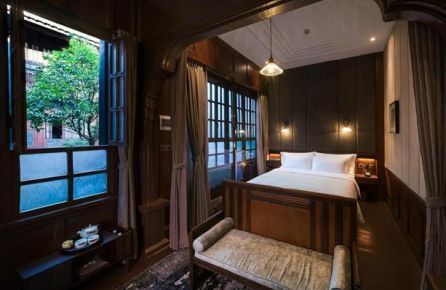 Stay in the former French concession in Shanghai! 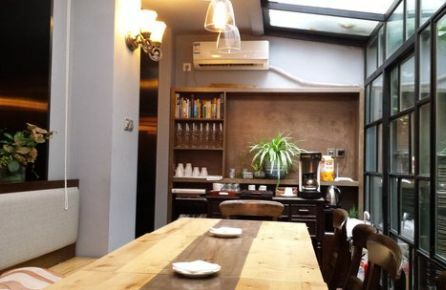 The Shanghai Fenyang Garden Boutique Hotel is situated at an excellent location in Shanghai in the former French concession and close to a subway station. The rooms are spacious, bright and well-equipped. Among the hotel facilities are a pool, tennis court and free wireless internet. Charming Inn near Bijia Mountain! Judy's Inn is a small hotel with only six rooms on Gulangyu Island. The hotel is a great starting point from which to explore Xiamen. Many touristic attraction are in the direct vicinity of Judy's Inn. The rooms are comfortable and have access to free internet. Judy's Café serves great breakfast and local seafood! 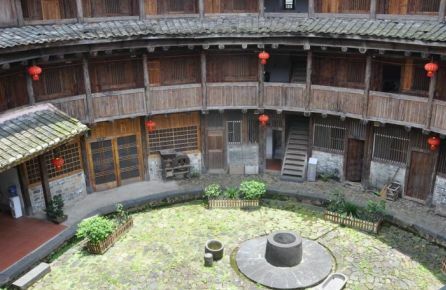 The Shuiyunju Country house is a stunning hotel, built in a traditional style with walls from earth and local features. This hotel is especially suitable for people who love to hike or cycle in nature. 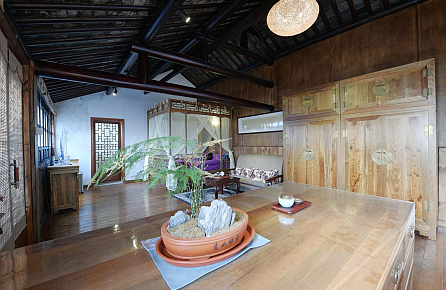 From the Shuiyunju Country house, it is a five-minute drive to the Xiamen Northern Train Station. The rooms are spacious and have access to free wireless internet. Kevin's Old House is situated at a central location in Shanghai not far from Jing'An Temple. The nearest subway station is Changshu Road, this station is a perfect starting point from which to explore Shanghai. It is a ten-minute walk from the hotel to the subway station. Kevin's Old House has only 6 rooms so book in advance! On your way to the Snow Mountains! The Songtsam Lodges - Songtsam Ben Zi Lan Hotel is a small boutique hotel situated in the western part of Yunnan. The hotel is a perfect stop on your way to the snow mountains. The hotel offers traditional decorated rooms with up-to-date facilities including heating and free (wireless) internet. Beautiful view over the Erhai Lake near Dali! The Lanshe Erhai Holidays Inn is a stunning boutique hotel just outside the old town of Dali. 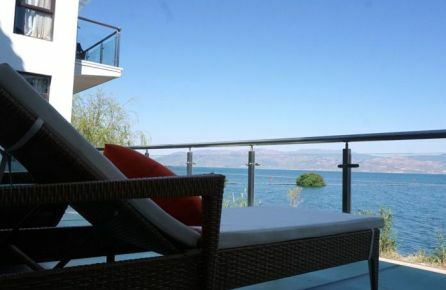 From the hotel you have a stunning view over the Erhai lake and the surrounding mountains. This hotel is a perfect starting point from which to explore the old town of Dali, the famous Three Pagoda's and the Erhai Lake. Stay in a traditional Chinese hotel in Xian! 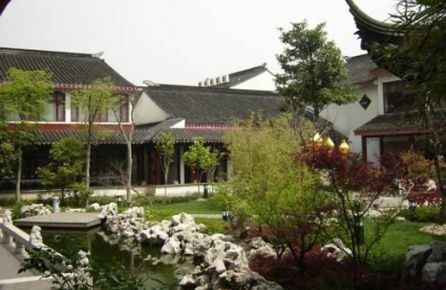 The Tang Dynasty Art Garden Hotel is situated just steps away from the Big Wild Goose Pagoda in Xian. The hotel has a traditional Chinese design with a beautiful garden. The facilities of the hotel are up-to-date with air-conditioning, flat-screen TV's and free wireless internet. Small traditional Hutong in Beijing! 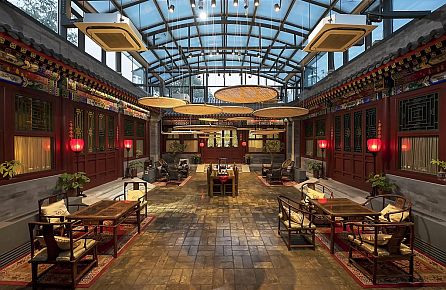 The Beijing Red Wall Garden Hotel Wangfujing is a courtyard hotel in the heart of Beijing. This hotel is one of the few small hotels in Beijing with excellent facilities and with typical Chinese decoration and furniture. When you are inside the hotel you almost forget that you are in the heart of noisy and busy Beijing! Be impressed by the stunning view! 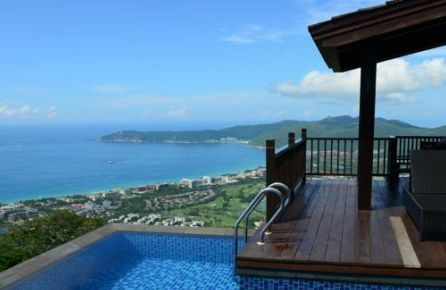 The Yalong Bay Earthly Paradise Birds Nest Resort is situated at a unique location near Sanya, from the hotel you have stunning views over the ocean and the surrounding mountains. The hotel offers well equipped villas. It is a ten minute drive to the beaches of Sanya, You can also relax at the swimming pool or make use of the wellness & spa facilities. Spending a couple of days in this holidays will be a great start or finish of your holidays! Boutique hotel in the heart of Lijiang! 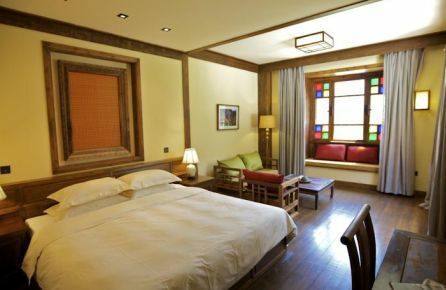 The Lijiang Emerald Boutique Hotel is situated in the middle of the old town of Lijiang. 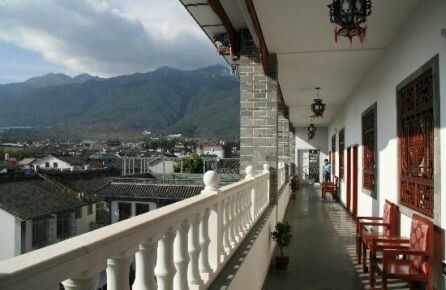 Several of Lijiang's touristic attractions are in the direct vicinity of the hotel. The Mufu Palace, the Loyalty Arch and the Three Eye Well are only 100 meters away from the hotel. The hotel offers free wireless internet and shuttle services to the train station and the airport. An excellent choice for you stay in Lijiang! One of the few small hotels in Shanghai! The Urban Hotel is Shanghai is something what you hardly can find in Shanghai: a small hotel. This hotel has only 23 rooms. The rooms have a contemporary design with state of the art facilities. The URBN Hotel Shanghai is located at a convenient location close to the Jing'an Temple, here you can find a subway station as well. Enjoy your stay in Shanghai! Small hotel just outside of Hangzhou! 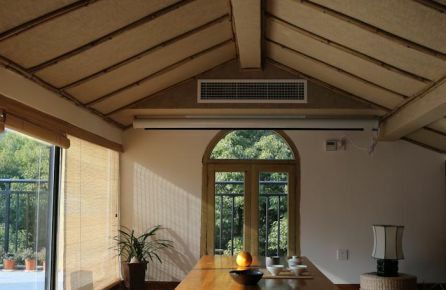 The Ger House is a small hotel with only five rooms and is located in a small village just outside of Hangzhou. From the hotel you have a stunning view of the beautiful surrounding, from the hotel it is a short walk to several temples, to the city center of Hangzhou is around five kilometers! The Ger house is a perfect choice for a relaxing holiday! A traditional court yard hotel in Beijing! 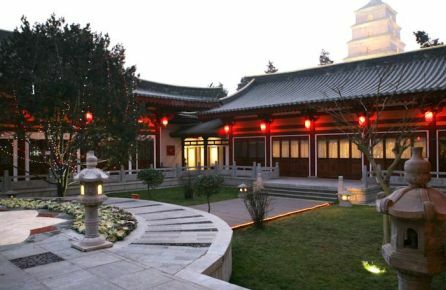 The Beijing Double Happiness Courtyard Hotel offers 31 rooms all furnished and decorated in a traditional, Chinese style. The hotel is centrally located in Beijing and close to several places of interest. Other attractions can easily be reached by subway, the nearest subway station is a five minute walk from the Beijing Double Happiness Courtyard Hotel. Experience the Chinese culture! Stay in Shanghai near Nanjing Road! An excellent choice in Shanghai is Cachet Boutique Hotel. Compared to all the massive hotels in Shanghai, this small hotel is intimate and has only 45 rooms. 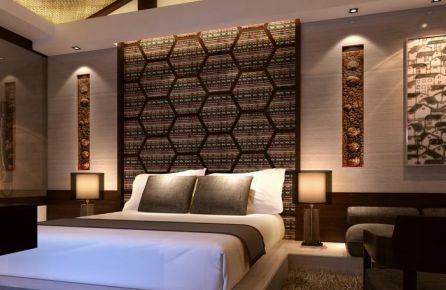 The luxurious rooms are decorated in a modern Chinese style. 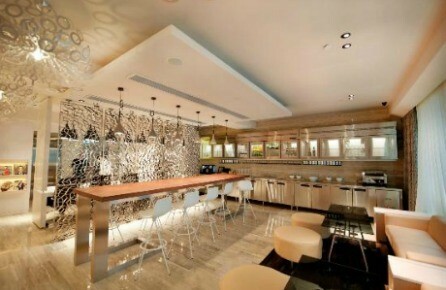 The location of Cachet Boutique hotel is also excellent, near the famous shopping street of Shanghai, Nanjing Road! Stay in a traditional court yard hotel! 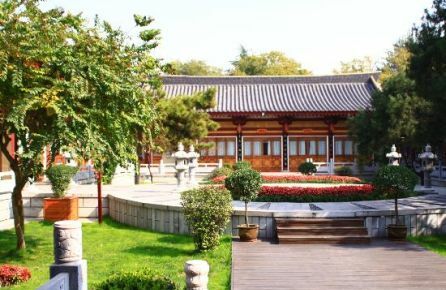 The Tang Dynasty Art Garden Hotel is located in the heart of Xian next to the Shaanxi History Museum and not far from the Big Wild Goose Pagoda. To the Terracotta Army will take you approximately 45 minutes. This luxurious hotel has 49 rooms all decorated with modern and classic Chinese elements! Traditional boutique hotel in Lijiang! The Orchid Land Boutique Inn is a charming hotel in the heart of the old town of Lijiang, this hotel, in courtyard style combines a luxurious modern style with classic Chinese elements. Most of Lijiang's touristic attractions are within walking distance from the Orchid Land Boutique Inn! Small hotel near the historic center of Dali! The Yinfeng Hotel is located at walking distance of the historic part of Dali. 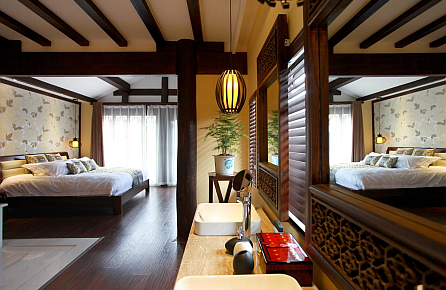 The 27 rooms of the Yinfeng hotel are decorated in a traditional, Chinese style. The hotel offers free bicycle rental services and free WIFI is available throughout the Yinfeng hotel. An excellent choice for your stay in Dali! 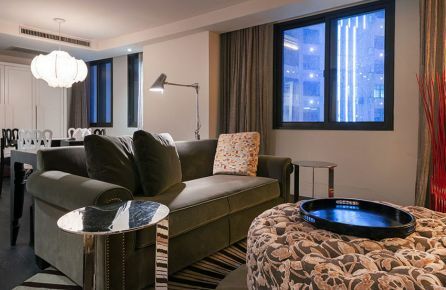 The Ovolo Noho is a contemporarily hotel in Hongkong. The hotel is at walking distance of Soho, the famous dining area of Hongkong and just a walk of three minutes away from the SheungWan subway station. Guests can enjoin free breakfast, minibar drinks and local phone calls. The internet connection in this hotel is superfast! Altogether an excellenct choice! Visit the Forbidden City & the Great Wall! The Courtyard 7 Hotel is a small, traditional courtyard hotel in the city center of Beijing. 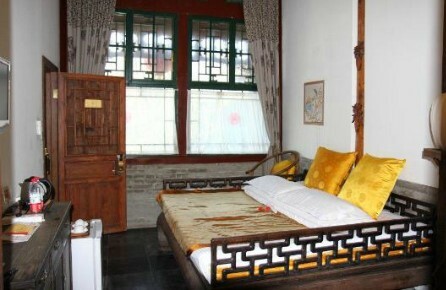 The hotel has 19 rooms decorated and furnished in a typical Chinese style. 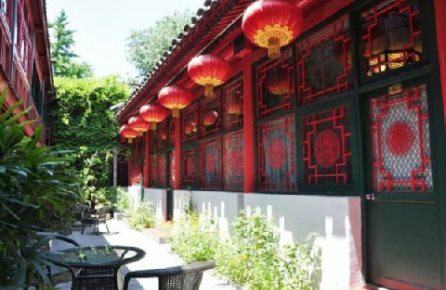 In this hotel and especially in its beautiful garden you will come at ease after a busy day of exploring the impressive sights of Beijing. At walking distance of the Courtyard 7 hotel you can find, in the middle of the Lake Area, the famous Drum Tower. 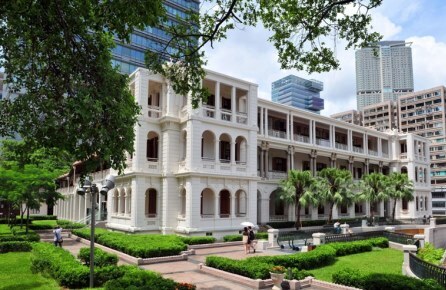 Hullett House in Hongkong is ideally situated in the heart of Tsim Sha Tsui near high-end shopping on Canton Road. Not cheap at all, even not according local standards, however it is an excellent place to stay. Hullett House is located in a colonial building of 1881 and has ten beautiful individually-designed suites. Le Sun Chine Downtown Boutique is a luxury boutique hotel near Shanghai's old British and French Concession areas. The hotel has an excellent blend of eastern and western styles: columned balconies, antique furniture and high ceilings. 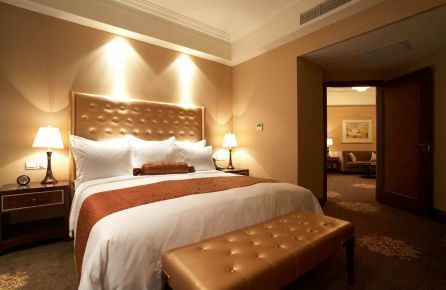 Definitely it is an elegant hotel in Shanghai with an excellent value.